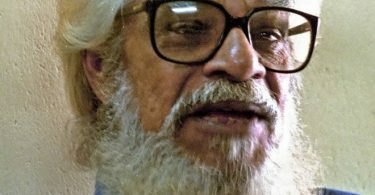 Alifa had the danger of appearing trite and cliché when placed against the dozens of films that showcase the tragic stories of the marginalized, the downtrodden and the abject poor. What sets it apart is the backdrop and its storytelling that give it a special edge. The film underscores the saying that it is the environment that goes in the molding of a man, his family and his lifestyle and this comes across effectively much to director Deep Choudhury’s credit. Alifa is pegged to two different points of view – one is that of the protagonist, the child Alifa (Pakiza Hasmi) and the other is the director’s perspective which gives it an edge. The story is placed in a hill thick with forests above the city of Guwahati near Dishpur with neither roads not any easy access to the city except for a beautiful view of the cityscape that Alifa rejoices in viewing and dreaming of going to school in town. The inhabitants are illegal immigrants who live in illegal shanties and are constantly threatened and blackmailed by a local guard with exposure. Alifa’s parents, Ali (Baharul Islam) and Fatime (Jaya Seal Ghosh) are very poor. They find it difficult even to feed their two kids with two square meals a day. As if this is not enough, the villagers live under the constant threat of tiger attacks. The camera and the script use Alifa both as a character and a metaphor to emphasize the tragedy of a child who is deprived not only of her childhood but also of schooling which she is passionate. Her little brother Faizal goes to the local Madrassa but not Alifa. The camera focuses on Alifa busy with household chores such as cooking, fetching firewood from the forests, bringing water from the streams with little time to play with her favorite rag doll. Fatima works at a construction site down in the city while Ali, thrown out of his job, seeks a new one on a day-to-day basis. The camera becomes an important character as it captures the ironical contradiction between the beautiful hillscape and the apparently dream-like view of the city below. The constant fear of the tiger is juxtaposed against the enforced night-watch shifts by the villagers. 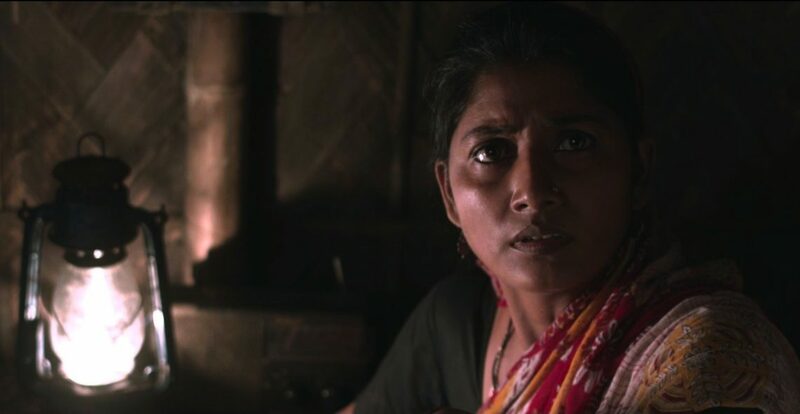 The terribly frustrating life of Fatima spent on housework and daily work for money stands in direct conflict with her adulterous affair with Requib (Prasun Gain) and the bashing she gets from her husband who learns about the affair from another villager. Many of the shots appear to have been shot in natural light. The scene in the middle of the night in which Alifa lifts the lamp and sets it down again before going out to relieve herself, or, when Fatima realizes that the roof is leaking when her cheeks are wet because it is raining heavily and places an upturned empty bowl on the leak in the mosquito net, or the close-up of Fatima as she applies lipstick and adorns herself with ornaments before stepping out for work are visually rich and sociologically telling. Bickram Ghosh’s background score is kept to a minimum because the sound design in this film is more important than the music though there is one beautiful song on the soundtrack. The editing smoothly switches over from the dark, cloud-filled sky threatening to break into rains any minute to step into the shanty where Fatima and Ali have managed to set up an apology of a home, or, along the hilly roads where the teacher trying to re-establish the old school converses with the local Imam, to the scenes between Ali and Saifuddin where the latter keeps carrying tales to Ali about his wife’s love affair. But the pace is a bit too slow. 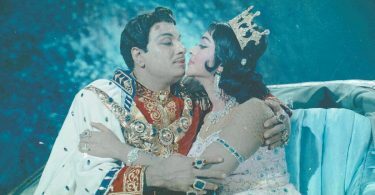 The acting adds life to the film. Jaya Seal Ghosh as Fatima cannot even be recognized as the dusky beauty we see in other films. Baharul Islam, a noted theater personality in Assam is incredibly realistic as is Pakiza Hasmi. Prasun Gain is convincing in the brief role of Requib who proposes marriage to Fatima but she refuses and admits that they too, were in the wrong. The characterizations are filled with flesh-and-blood but what Victor Banerjee is doing in his blink-and-you-miss-him role no one knows. The closing shots of the film are telling – Faizal, the little brother, shapes arrows for his handcrafted bow to fill his quiver with. His quiver filled, he walks away into the woods with the quiver of arrows and his small bow, as his sad father watches him, perhaps to fight the dreaded tiger straddling the forests, lest it take away one more innocent life. It is the little boy’s way of tackling the problem adults could not. Alifa, as a film, has all the clichés that ride most mainstream films – an exploited child, a poverty-stricken family, an adulterous relationship, the unknown fear of tiger attacks, a subtle attack on the marginalization of the girl-child and so on and so forth. But it is in the unfolding of the story in which director Deep Choudhury leaves his imprint and tells us why he won the National Award for the Best Debut Film of a Director for Alifa at the 64th National Awards in 2017.